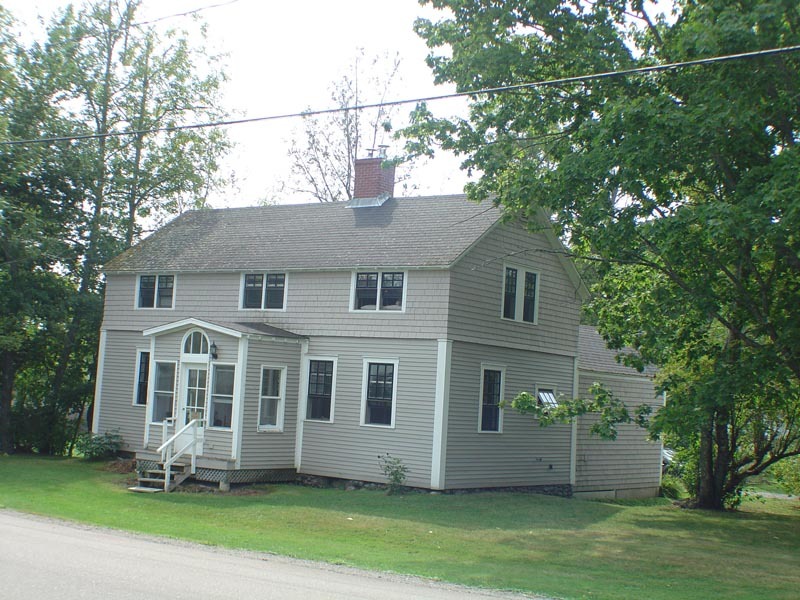 Just a 12-minute drive from historic St. Andrews, it is located on the shores of beautiful Bocabec Bay. Enjoy the rising and ebbing tides from the home's large two-level deck or from the comfort of a six-person outdoor hot tub. The property has a small brook running its length, beside which there is a sitting area under shade trees. There is also a tee box for hitting golf balls into the ocean at low tide and then the balls can be retrieved on the shore at high tide. From the paved drive, you enter the three-bedroom home through a spacious foyer and then through a French door into the large living room with its soaring windows overlooking the ocean, its gleaming wood floors and gas fire place. The living room opens into a modern, well-equipped and efficient kitchen and a separate dining area - all with wonderful ocean views. 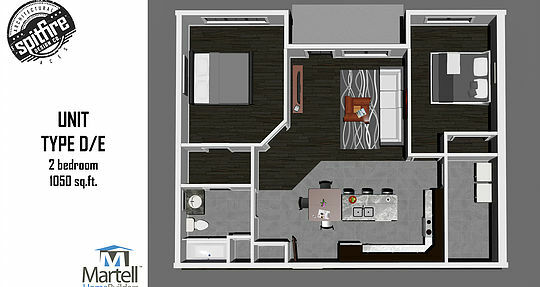 On this level, there is also the Master bedroom (queen) , dressing room and bath ensuite and a separate laundry room. Open wood stairs lead to a family room which over looks the living room below and enjoys the same ocean views. On this level there are also two bedrooms (one queen, two singles) and a full bath with shower. On the lower level, which leads directly onto the side deck and hot tub, is another full bath with shower. No smoking or pets please. Cleaning: Cleaning fee of $245 for the duration of stay. This cottage is the perfect getaway for a family who wants the privacy of a large, well-groomed property, the enjoyment of a fresh water lake for swimming and paddling and the comfort of a well-equipped summer cottage. 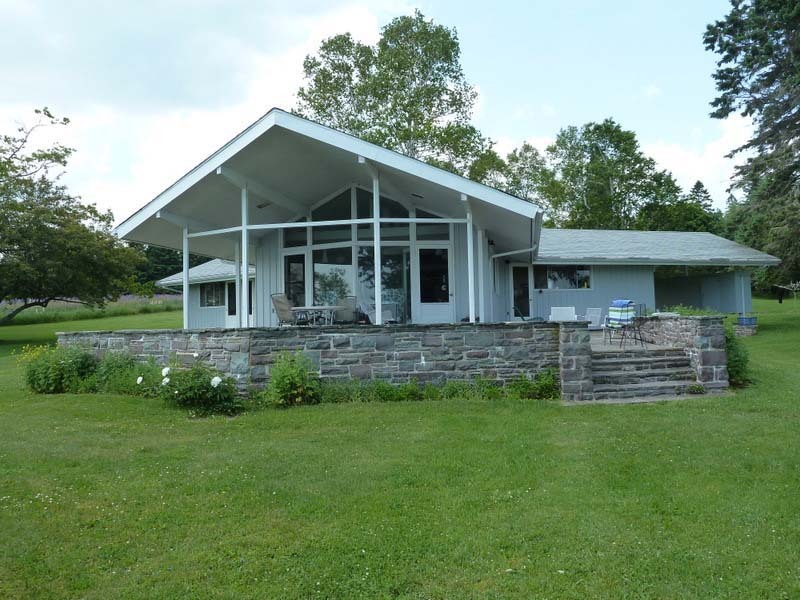 The large deck allows a stunning prospect of the sloping lawns and the lake beyond. Conveniently located just 10 minutes from historic St. Andrews By-the-Sea, this modern cottage is immaculately kept, inside and out. 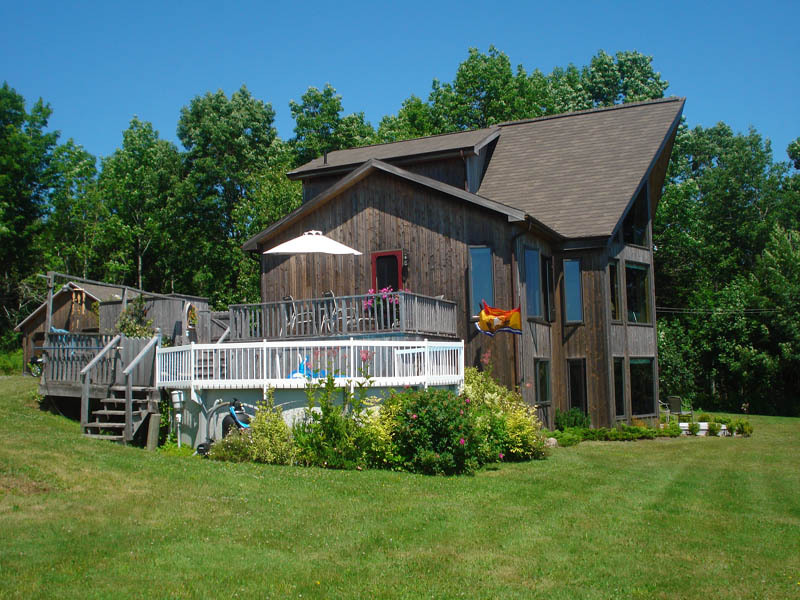 The large master bedroom, with its king-size bed, is on the second floor and over looks the beauty of Chamcook Lake. The second and third bedrooms, both have queen beds and the cottage has two full baths, one with a spa tub, both on the first level. The large living/dining area has a wood stove, a perfect compliment to a chilly evening at the lake. The kitchen is fully equipped with major appliances (no dishwasher), microwave and coffee maker. The property also has a washer and dryer for added convenience. Children and pets are welcome. No smoking please. Cleaning fee of $175 for the duration of stay. There will be an additional cleaning fee of $50 for each pet per stay. Visiting pets are subject to a cleaning fee of $50 per stay. The cottage you wished you had grown up with; private, rustic, with gorgeous views of St. Andrews Harbour, St. Croix River, and beyond to Passamaquoddy Bay. 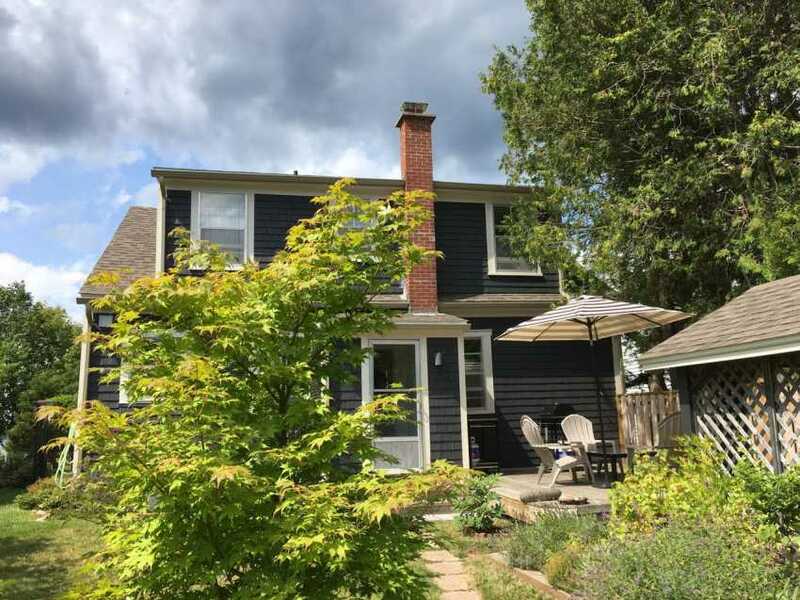 This delightful cottage, while located within a few minutes walk to downtown St. Andrews, sits on a 30-acre estate, has a 2000 ft. beach and is close to the newly renovated Algonquin Golf Course. The cottage has three bedrooms, (one with a double, the other with twin beds), with two ensuites and a third bathroom. It's large deck is hard to resist, commanding the best views it is the perfect place to relax, BBQ or enjoy a meal. The kitchen is equipped with all appliances, including a six-burner stove and dishwasher. The property has a washer and dryer for added convenience. Cleaning fee of $200 for the duration of Minimum two week stay. 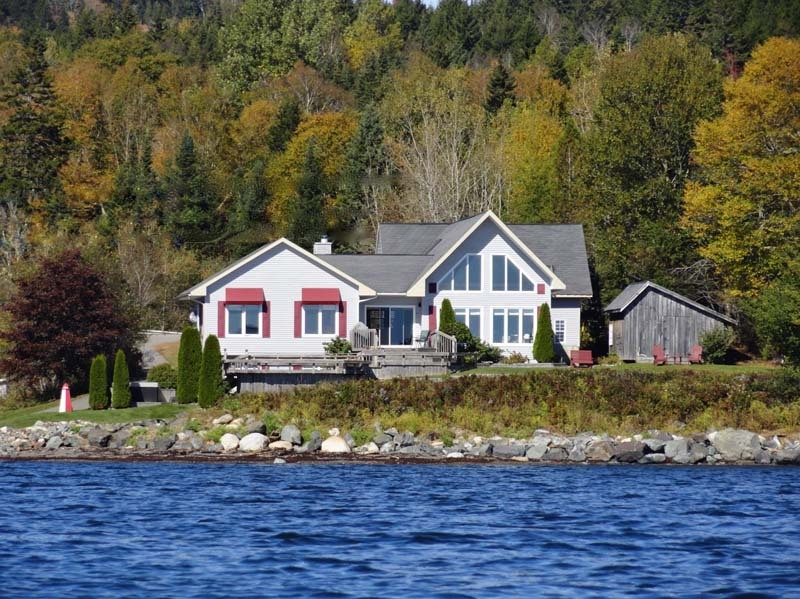 This family-owned cottage has been home to innumerable game nights, long chats on the deck and hot dog roasts on the beach. Birch Cove Cottage has had a major face lift; more than doubling its size while maintaining its homey feel. There is a new, state-of-the-art kitchen with an eat-in counter for guests who like to “visit” while the chef preforms his magic. The dining room opens into a spacious living area which in turn opens to the large ocean-front deck. Also on this level is a full bath with tub and shower. The over-size Master bedroom takes full advantage of the ocean views of Birch Cove and has a king-size bed for added comfort. The second bedroom has a queen bed, while the third bedroom has two twins. The large bathroom on this level has a full-size shower. The house is fully equipped with everything required including fresh towels and linens. There is a separate laundry room with washer and dryer for added convenience. Newly built stairs makes for easy access to the oceanfront beach. Pet Fees: There will be an additional cleaning fee of $50 for each pet per stay. Visiting pets are subject to a cleaning fee of $50 per stay. 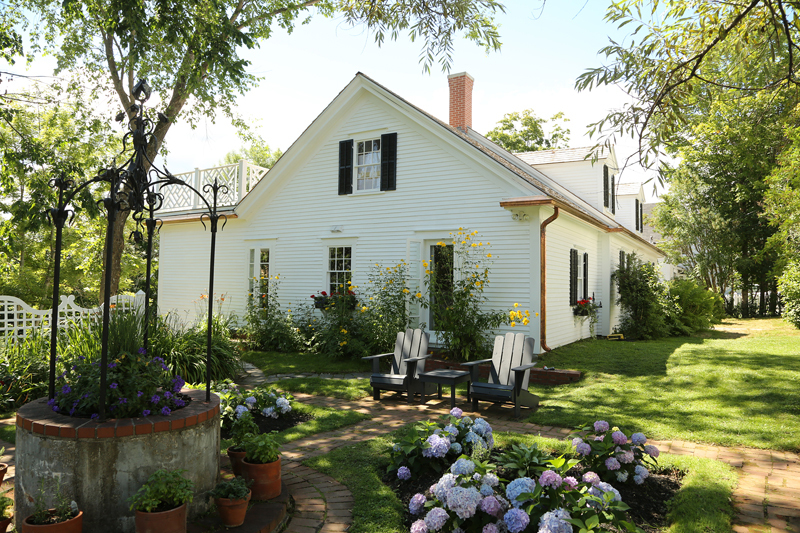 We are offering this beautifully restored historic home for your next family holiday. Conveniently located just two blocks from the ocean and all the shops and restaurants which St. Andrews has to offer. This two-storey home has three bedrooms, all on the second floor and three full baths. One full bath and the separate laundry room are on the first level. Parker House has a fully equipped kitchen, separate dining area, a large comfortable living room with a wood-burning fireplace insert. The hardwood floors throughout this home, make it ideal for people with environmental allergies. The Master bedroom, has its own ensuite bath, while the other two bedrooms share the second bath on the upper floor. This very comfortable home could be the peaceful sanctuary you are looking for in your next vacation. Cleaning fee of $150 for the duration of stay. 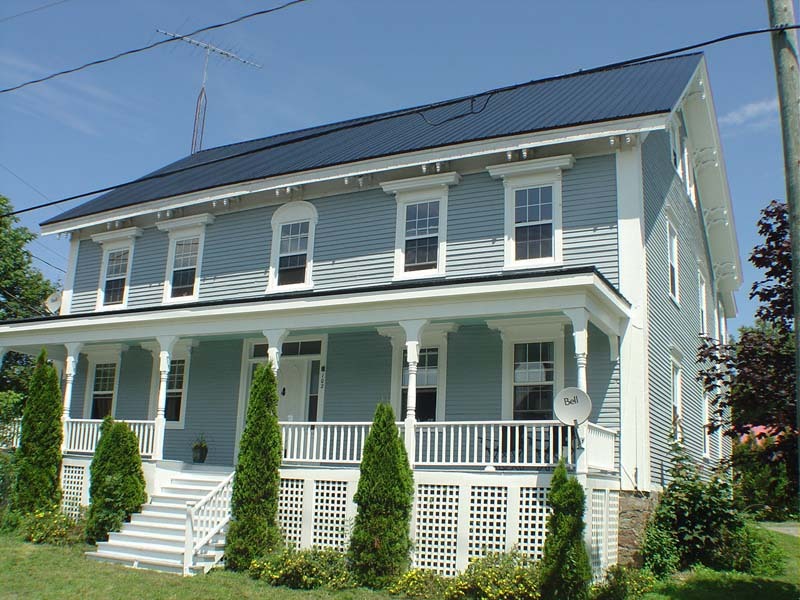 This beautiful century-old Cape Cod cottage, has been lovingly renovated, while maintaining all of its original charm. 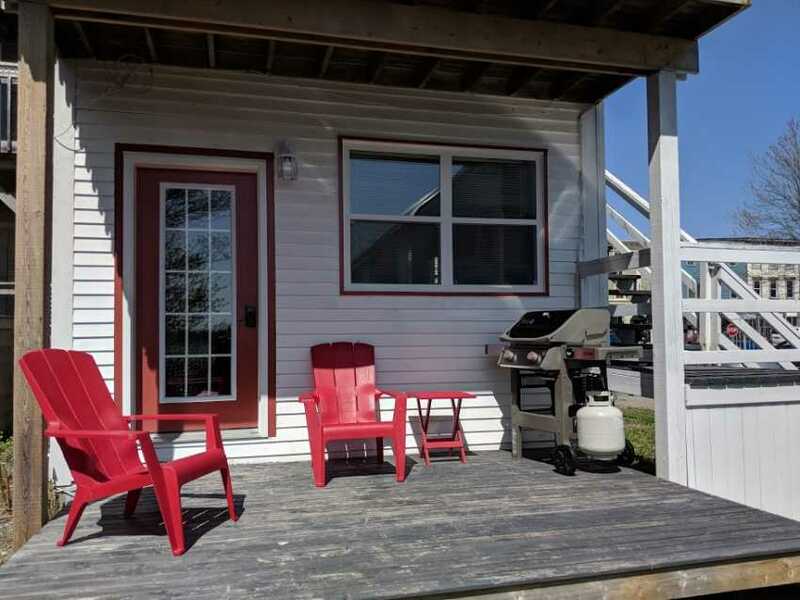 Black Arbour Cottage is the perfect vacation rental – in town within walking distance to all amenities, and just steps from St. Andrews Harbour. Meticulously upgraded and maintained, this lovely home is ideal for those guests who prefer rooms and furniture with clean lines, comfort without fuss, and art work which accents without overpowering. Ocean breezes add to the home’s delightful freshness. The fully equipped kitchen with its stainless steel centre island lends itself to preparing a special meal when guests want to stay in for an evening. Or you can have cocktails and a BBQ on the very private deck in the rear garden.. Both of the spacious bedrooms are on the second floor; each is fitted with a queen size bed and desk and enjoy either water or garden views. The homes’ full bath with tub and shower are also on this level. Cleaning fee of $125 for the duration of stay. Pet Policy: Pets are only allowed in those properties designated as pet-friendly. Pet Fees: There will be an additional cleaning fee of $25 for each pet per stay. Visiting pets are subject to a cleaning fee of $25 per stay. Located in the resort town of St. Andrews-by-the-Sea, Corey Cottage has a long, varied history culminating in its premiere position as one of the East Coast’s most luxurious vacation rental properties. Renovated and decorated by renowned Canadian Interior Designer Lee Wells, who has created stunning spaces to please the most discerning clientele. Situated adjacent to and opposite from The Pansy Patch – the most photographed private home in New Brunswick, and The Algonquin Resort– one of the country’s premier resort hotels. Corey Cottage houses four Master Bedrooms which include sitting areas, en suite baths with custom showers and luxurious soaker tubs. Two suites are located on the main floor with garden doors opening to a verdant oasis. 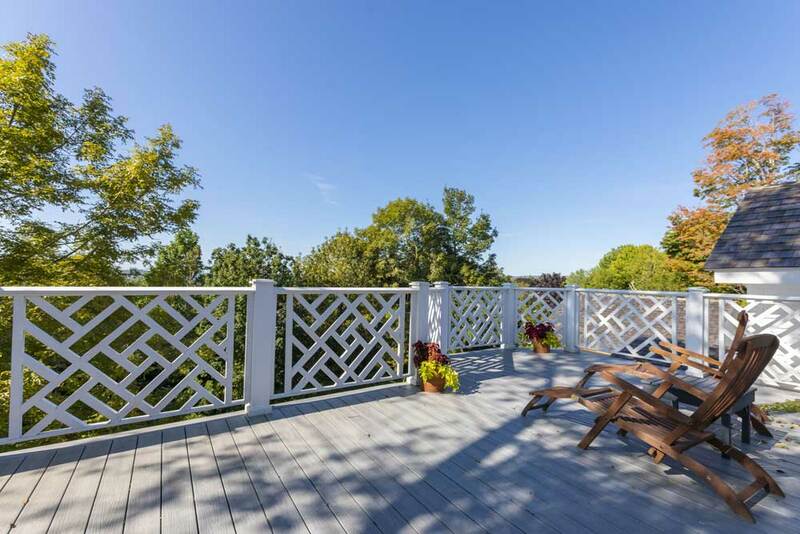 A balcony off one of the second storey Masters, while private, offers attractive views of the cottage garden, the roof top garden patio of the historic Algonquin hotel and of St. Andrews harbour. Guests are treated to Signature towels and linens, an array of (Keilhs) products, and comfortable robes and slippers. Common areas include a spacious Great Room graced with lovely art pieces, welcoming furniture, a private dining space, and a well-stocked honour bar. The formal dining room, with its own fabulous garden and ocean views, is the perfect room to gather after cocktails to enjoy a meal prepared in the adjacent professional kitchen. Any chef would be over-joyed to create a master piece in this well equipped kitchen; pieces include a six-burner gas stove, glass-front restaurant-style fridge, dishwasher and icemaker. The central island, with its raw-edged granite top adds to the already plethora of prep space. Welcome to Corey Cottage, a warm, inviting home away from home. No smoking or pets please. 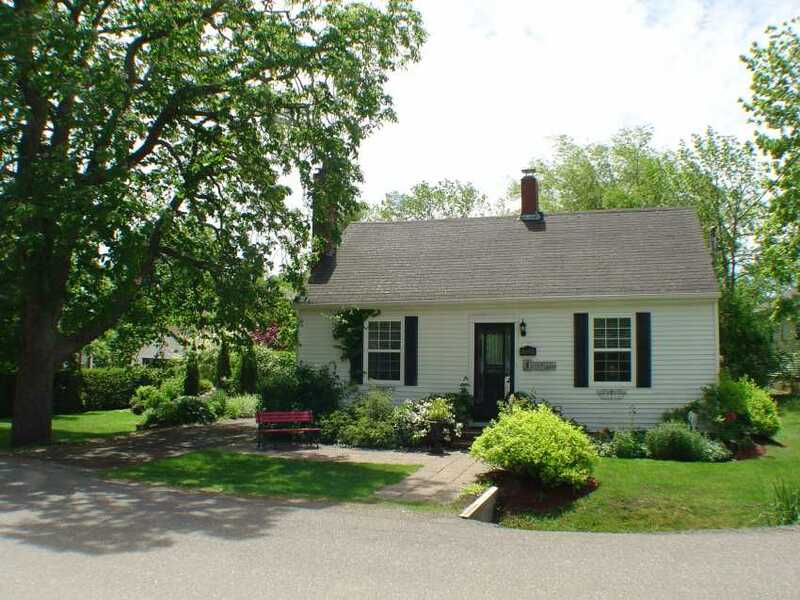 Dodie’s Cottage is a charming, one-bedroom home, with great ocean views and within easy walking distance to all that historic St. Andrews has to offer. Once you have arrived at this beautifully renovated cottage, you can park your car and leave it untouched until it is time to return home. Beautifully decorated and infinitely comfortable, this cottage is the perfect get-away home for those looking for a touch of class, a splash of colour, and a sense of adventure in their vacation rental. The fully equipped kitchen opens onto a private rear deck fitted with outdoor furniture and BBQ – the perfect setting for morning coffee or entertaining dinner guests. 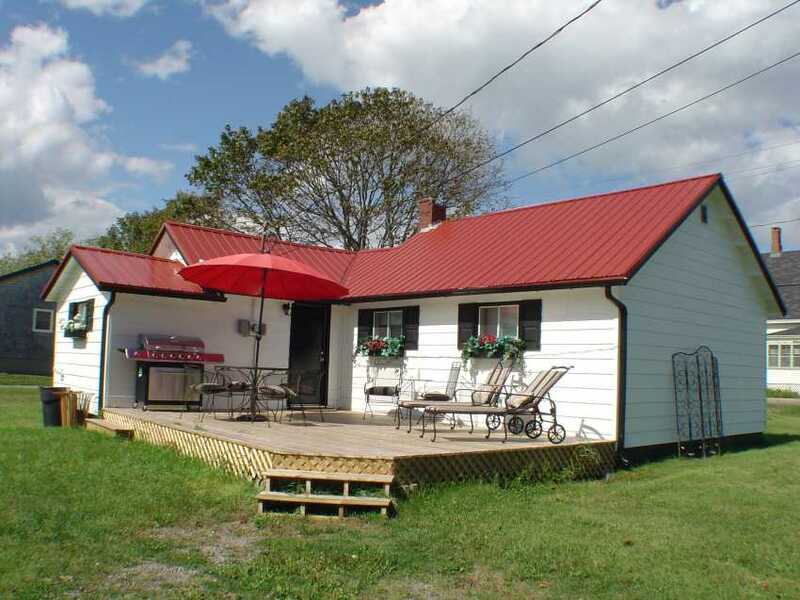 All on one level, Dodie’s Cottage has a full bath with soaker tub and shower, a large, comfortably fitted living room, and one bedroom with new, queen size bed. No pets or smoking please. 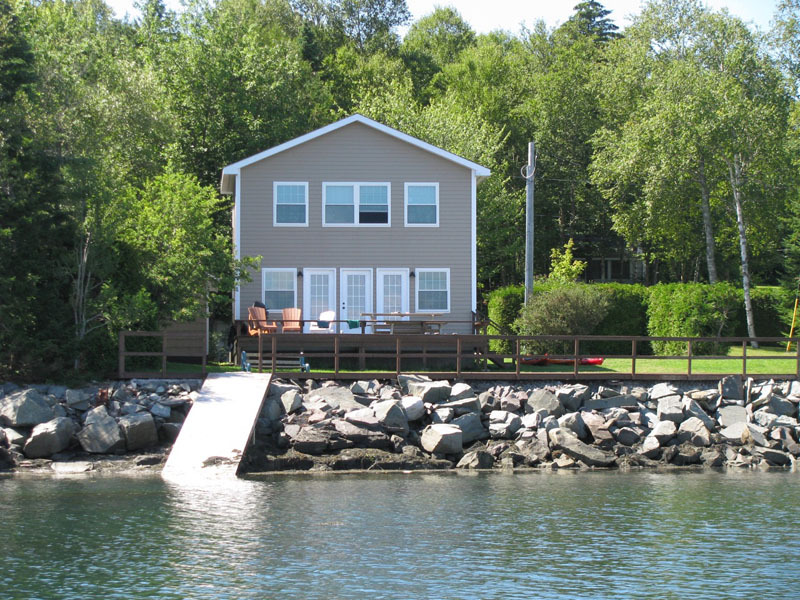 Just 15 minutes outside historic St. Andrews, this delightful cottage over looks Passamaquoddy Bay and the islands beyond. The large deck and screened gazebo draws visitors outside to enjoy the scent and sights of the sea beyond. The bedroom features a queen bed, a full bath en suite and large walk-in closet. The living room and dining area opens onto the deck and the wood stove adds a cozy ambiance on a Maritime morning. The kitchen is fully equipped with major appliances, dishwasher, microwave and coffee maker. The property also has a washer and dryer for added convenience. Cleaning fee of $120 for the duration of stay. Pet Fees: There will be an additional cleaning fee of $50 for each pet per stay. Visiting pets are subject to a cleaning fee of $50 per stay. Hillside is one of St. Andrews historic summer homes, in town, just steps from Katy's Cove. 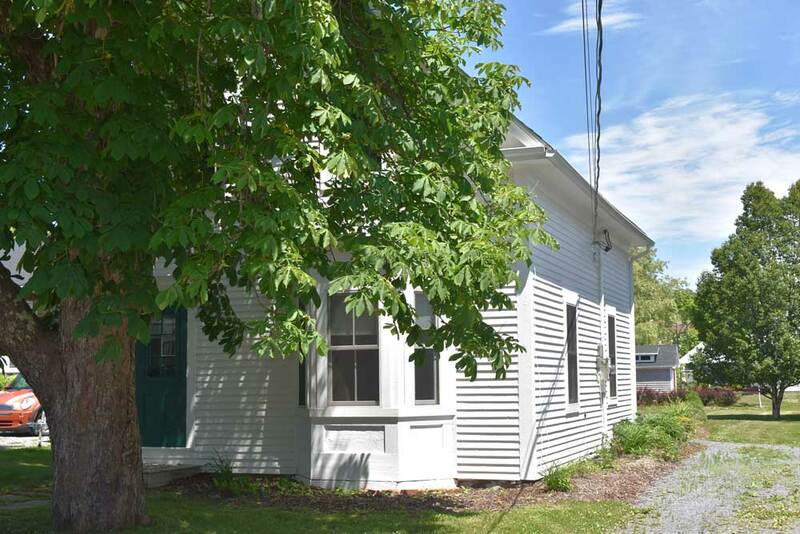 Built in 1893, this lovely home sits on 1.1 private acres and has recently undergone renovations to modernize the kitchen and its four baths. 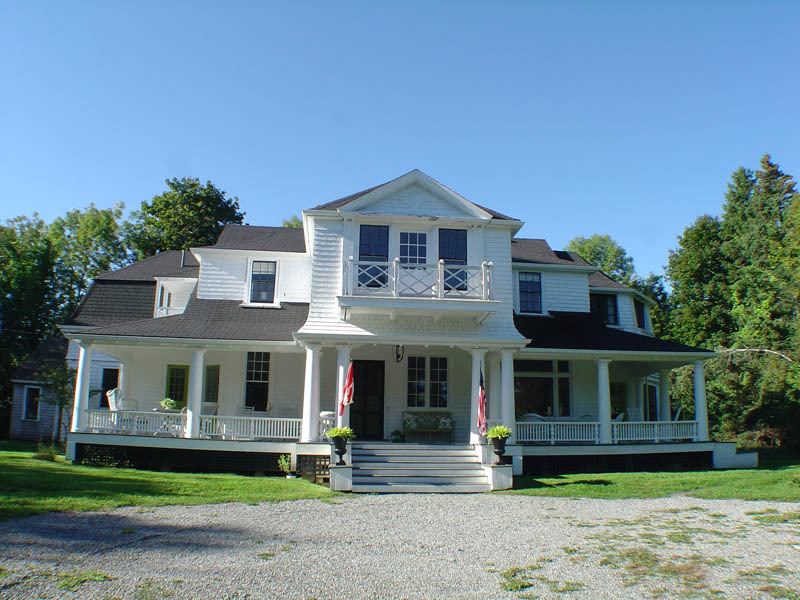 Hillside's owners have strived to maintain the elegant summer home feel from a by gone era . Located on a private lane, this eight bedroom home, is secluded while being within easy walking distance to the Algonquin Hotel and everything the town has to offer. Its large light-filled rooms are the ideal setting for a reunion, small celebration, retreat or a quiet getaway with family and friends. Four wood burning fireplaces on the main floor add another layer of ambiance to this stunning home. All eight of its bedrooms are located on the second floor, along with three of its four full baths. The second floor can be accessed by the grand central stairway or the more modest stairs at the rear of the house. Like the sun room below, one of the bedrooms is octagonal, with double window/doors which open to French-style balconies. Another bedroom opens to a small covered deck. All the bedrooms have lovely natural wood floors adorned with area rugs. The kitchen is large and is fully equipped. From this room, you can move into a lovely breakfast room which opens to its own covered deck, or through a large adjacent pantry filled with vintage china and glassware, to the formal dining room beyond. This room, which opens to the sunroom and the parlour, is sumptuous with its heavy dining table, comfortable upholstered chairs and Italian glass chandelier. The front foyer is a large room unto itself and may be the perfect place for pre-dinner drinks, or you may want to enjoy the sea breezes from the wicker furniture on the covered verandahs. Other conveniences include: separate TV room, laundry on site, and propane BBQ. No pets or smoking please! Cleaning:: Cleaning fee of $350 for the duration of stay. Pets: Pet Policy: Pets are only allowed in those properties designated as pet-friendly. Pet Fees: There will be an additional cleaning fee of $25 for each pet per stay. Visiting pets are subject to a cleaning fee of $25 per stay. Whether in St. Andrews for business or a relaxing holiday, let Suite #3 at Montague Hall be your home away from home. The suite is located in the heart of St. Andrews and within walking distance to all amenities – shops, supermarket and restaurants. There is plenty of off-street parking. The covered front porch is the perfect place to while away an afternoon with a good book. The apartment has one bedroom with a double bed as well as a den with a day bed. The large, fully equipped kitchen has full-size appliances (sorry, no dishwasher), coffee maker and micro-wave. The dining area seats four. There is a full bath with tub and shower. Each of the rooms – bedroom, den, kitchen and living room, are spacious and full of light. The suite has a smart TV with Netflix and fibre optics. For your convenience, there are laundry facilities in the building. Cleaning fee of $75 (+ HST) for the duration of stay. 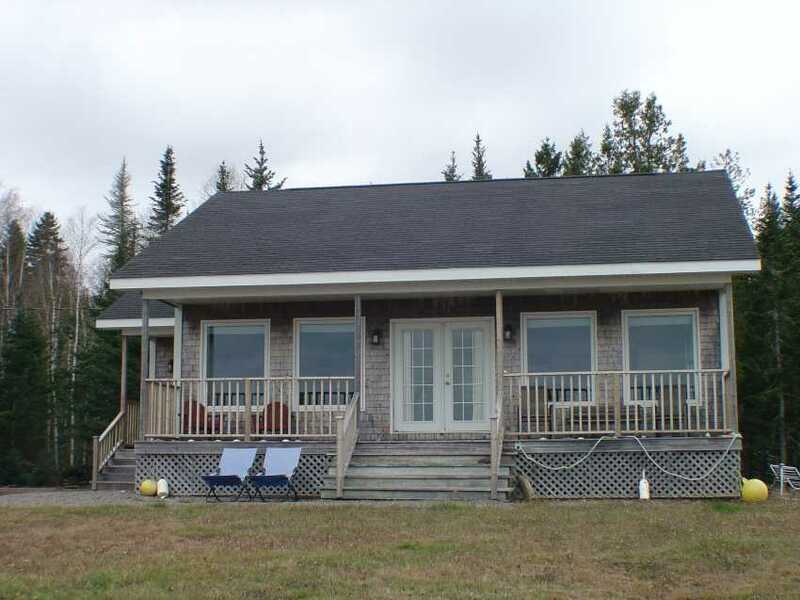 Come and enjoy this beautiful, private retreat panoramic views of Passamaquoddy Bay and the islands beyond. Ocean Sunrise is a contemporary three bedroom, three bath home which is less than 10 minutes from historic St. Andrews By-the-sea. Situated on a wooded and landscaped three-acre property, it is entirely private from neighbouring homes while enjoying its own shore-line and sweeping views of the ocean. Built on three levels, two of the bedrooms and the large family room are on the first level with doors leading to the lower patio, gardens and lawns, Master bedroom and ensuite are located on the third floor, while the kitchen, dining room, living room and music room are on the main level. The music room opens to its own deck with lovely sea views, while the kitchen opens to the larger deck, perfect for outdoor dining and entertaining. The above-ground pool is a step down from this deck and this entire area, as does almost every room in the house, enjoys the same beautiful views. This home is fully equipped for a relaxing holiday. The home has a gas fireplace, a separate laundry room, as well a full home entertainment center and wireless internet. Pets are welcome. No smoking please. Cleaning fee of $240 plus HST for the duration of stay.